Will Santa Claus Get Sick? Did He Get His Flu Shot? Mrs. Claus worries about flu season. After all, I cannot be sick for the big day! I do not want to let anyone down Christmas morning! Yes, I have to stay in tip-top shape! The elves and I need to be our best to make toys. The reindeer and I have to be ready to bring gifts on Christmas Eve. And of course, I have to stay healthy… just in case the elves want to have a snowball fight! So Nurse Nice made a special visit to the workshop. She came to give us our flu shots. Some of the elves were a little worried about getting their flu shot. Nurse Nice could see they were a bit afraid. She made the elves feel better with a little chat. “Elves, have you ever been sick?” One by one, they all put up their hands. “Is it fun being sick?” she asked. The elves did not want to miss ANY of the fun at Christmas so they all asked for their shots. They were still a little afraid, but they knew a shot was the right thing to do. Nurse Nice then gave each elf a music toy. They held it while they got their shot. When they were done they all played Christmas songs together! The elves liked holding the toy. It reminded them to wait for something better. They also really like feeling good at Christmas (almost as much as they like snowball fights!). And I had my flu shot too! I do NOT want to be sick Christmas Eve! P.S. Do you think it is good the elves and I get our flu shots? Do you think it is good to get your flu shot? You can click here to tell me about it or scroll down to see what other people have written! I’m scared to get shots but I know it’s important and I have to be brave. you made the right decision you can die from the flu im thankful you and the elves got their shots. I didn’t get a flu shot i got a nosil spray, it smelt like a spring meadow. But for all of you who hate shots the spray is nice. P.S. Santa you might want to try the spray for some of the younger elves. I think it was great that Santa and the elves had their flue shots. It helps you stay healthy. I get flu shots….But its a naisle kind! But its a good thing to do! I don’t like flu shots. But it’s good when it’s done! but i hope all of my wishs come true this year. Santa Thats a good thing you got your flu shot so you will never be sick on christmas eve! I LOVE YOU! YES IT IS CORRECT TO GET A SHOT. I hate flu shot and I sometimes cry but then me, my Mom and my baby brother go to get Ice cream one time I had to get it on cristmax and it hurted more then ever before and I didn’t get Ice cream beacaues it was too cold so I was super sad until the next day I got a Ice cream maker and I was as happyy as could be!!!! your so nice to me. i can not stand your jokes.also clumsy you are like so cool. I am bummed that Christmas is over so bummed but there is always next year.! Dear Santa,I got a flu shot before… but it did not hurt! You always have to get a flu shot Santa! !So you wont be sick on Christmas and each day!I know it hurts believe me! I have gotten 4 shots to 1 visit at the docters office. It is not good to be sick at Christmas, this year I got bad luck cuz’ i am sick with a really bad cold. Merry Christmas Santa and Mrs.Clause!!! Good job Elves! Needles really do stink huh? I got my flu shot.I thought it would hurt.it pinched. i got my flu shot. but it was not a shot it was nose spray. it looked like a shot but it had no needle. but the nurse didn’t do it right so it hurt. santa you should always have the elves get the flu mist next year!!!!!!! It’s not that bad it’s just a quick pinch, just look the other way. I was very worried about mine it ddn’t hurt at all, it felt like someone tapped me. After I got it I laughed. I had to get my flu shot, even though I had to lie down so that I wouldn’t faint. I am glad ou and the elfs got the flu shots. even though i hate shots i would still get them because i would hate to be sick on the big day. It is good that you want to stay well for the big day. Im certin that there will be a lot of disappointed boys and girls if you got sick and werent able to give them all the toys they wanted. We dont want that to happen. So keep getting your flu shot so you wont get sick. i think it is best for you to get a flu shot because,that means you wounldn’t be sick for christmas. p.s why do elves have pointy ears. p.ss how do you make the toys in 11 mounths. Santa, please remind the elves that it is better to get one shot than to be sick forever. My mommy told me that and I jumped right up there and told my doctor to give that shot and give it quick. I think it is good for everyone to get flu shots, so we don’t get sick. If we get sick the germs might spread, and its no fun to be sick. Ti is ok everyone hates flue shots. I am so glad you got you flu shot… tell the elves that it is normal to afraid of getting a needle. I am 6 years old and i was terrified to get my very first flu shot …..
Have you been sick on christmas before? I think it is awesome that u got ur flu shot! I am so proud of all the elves too. I dont want to get sick either…so i want a flu shot! I think it’s great you got your flu shot! I get my flu shot every year and it keeps me from getting sick. I bet the elves felt tired after they got their shot. And, Mr. Claus, I am SO glad you got your flu shot. I promise it will always keep you healthy for Christmas! Dear Santa,i think that if you go get a flu shot you wont get the flu on Christmas Eve.When i got the shot it didnt hurt at all.she told me to relax my arm.if you go get your flu shot,relax your arm.all it feels like is a tiny ball going in your skin. I think that it is good that you and the elves got your flu shots. Did you know that the big word for flu is influenza? That is the word I spelled correctly and won my spelling bee. YOU are a very smart man Santa, because you got your flu shot. I got mine in September! i do not get flu shots, but i do think that it is good that you and thhe elves to get flu shots. does mrs. claus get her flu shots? i think that it was very kind of nurse nice to give the elves music toys. hi santa i have just read about your flu shots it is not nie to have flu. i think flu shots hurt. but it has to be done! hi santa! i think it is great for you and the elves got their flu shots. 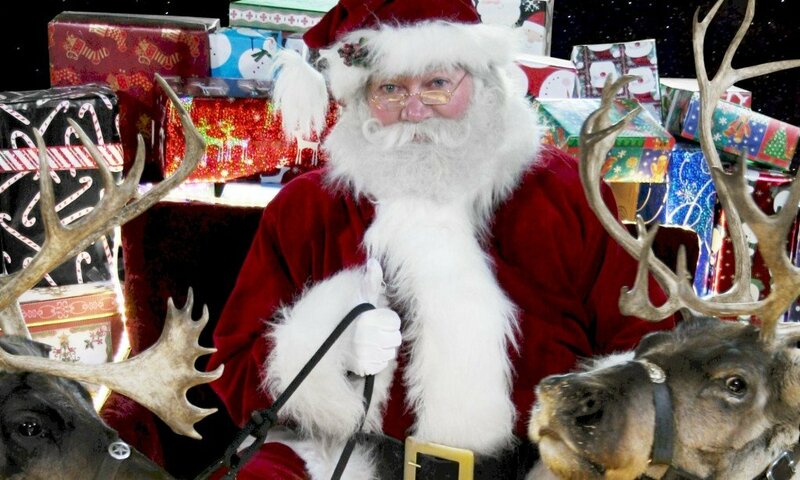 i recomend you give the reindeer flu shots too, you dont want them to be sick, do you santa? I had to get a shot in my leg it hurt a bit and hurt even more afterwards for a few days, but it made my leg all better at least for now. But, I promise you will be ok. I think its good you get flu shots because it’ll be bad if you got ill all of a sudden but I’m sure that wont happen! Why is Mrs claus so afraid of the flu shots? Santa were you scared? We feel happy that you had your full shot so that you won’t be poorly on christmas eve. do you know what that is an exelentt piont there fred. I agree with Carter, It’s great to have flu shots! Merry Early Christmas! Yes I think it is good you got your flu shots. I will get mine too.